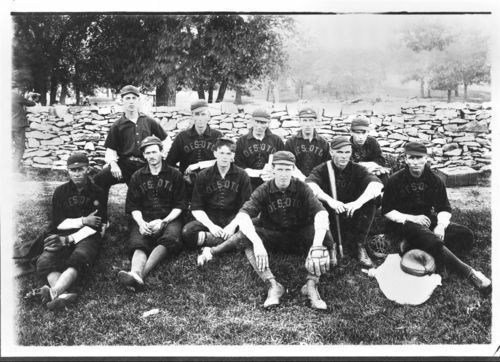 An informal group portrait of the De Soto, Kansas, baseball team. De Soto. The town is located in Johnson County on the south bank of the Kansas river and along the Atchison, Topeka, and Santa Fe Railroad.